Hard headed Louisiana fisherman Thomas Gonzales doesn't know what will hit him next. 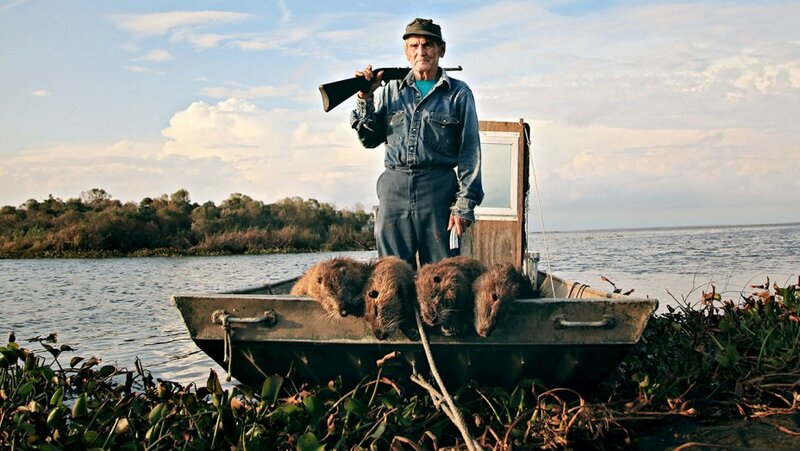 After decades of hurricanes and oil spills he faces a new threat - hordes of monstrous 20 pound swamp rats. Known as 'nutria', these invasive South American rodents breed faster than the roving squads of hunters can control them. And with their orange teeth and voracious appetite they are eating up the coastal wetlands that protects Thomas and his town of Delacroix Island from hurricanes. But the people who have lived here for generations are not the type of folks who will give up without a fight. Thomas and a pack of lively bounty hunters are hellbent on saving Louisiana before it dissolves beneath their feet. It is man vs. rodent. May the best mammal win.